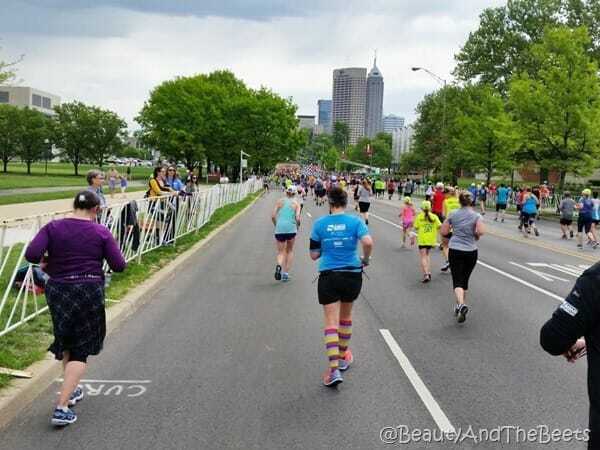 I was dreading the IndyMini Marathon Weekend, I had been down with the flu just a few days prior and thought for sure that I wasn’t going to run. 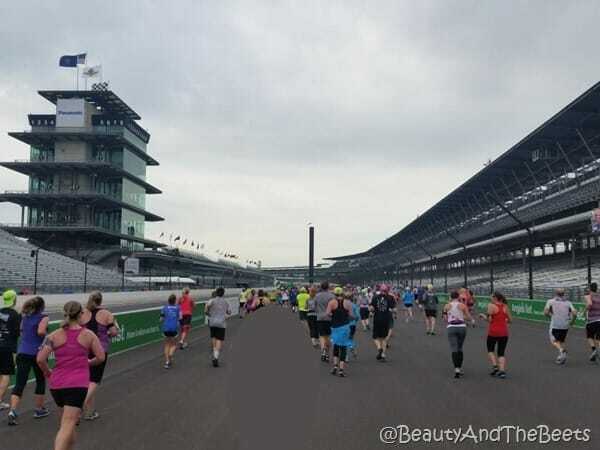 And I have serious FOMO (fear of missing out) – I was going to miss out on running on the track of the speedway, I wasn’t going to get the really cool medal. Then Mr. Beet offered to sacrifice his run to run/walk at my pace and keep me company. 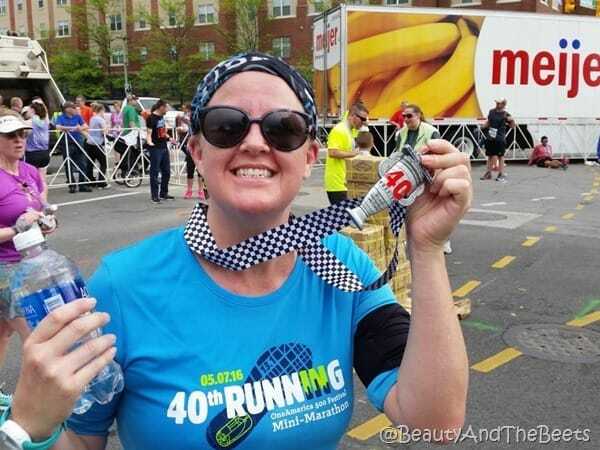 So I agreed and was able to complete my 13th half marathon. And I had someone to take selfies with!! 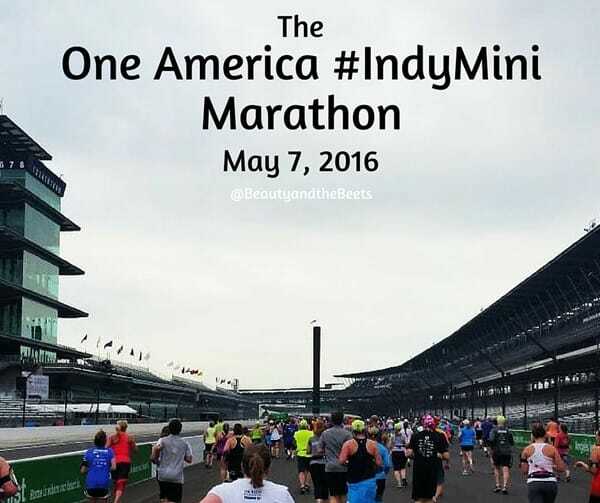 The IndyMini Marathon is part of the 500 Festival, a month long event that ends with the Indy 500 IndyCar race, and this year is the 100th Running (and the 40th anniversary of the IndyMini Marathon). 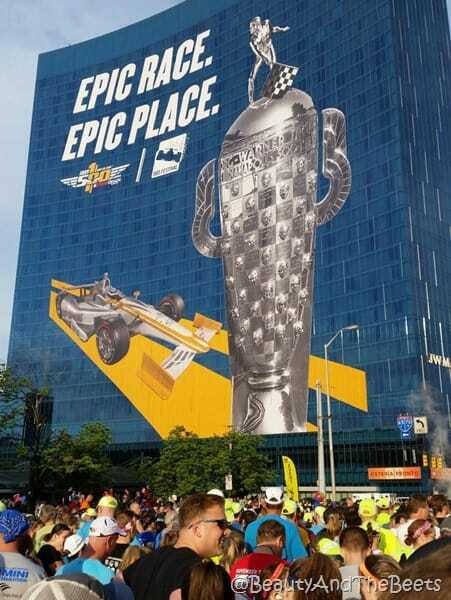 So this year is kind of a big deal around Indy. In the picture below this is the J.W. Marriott. 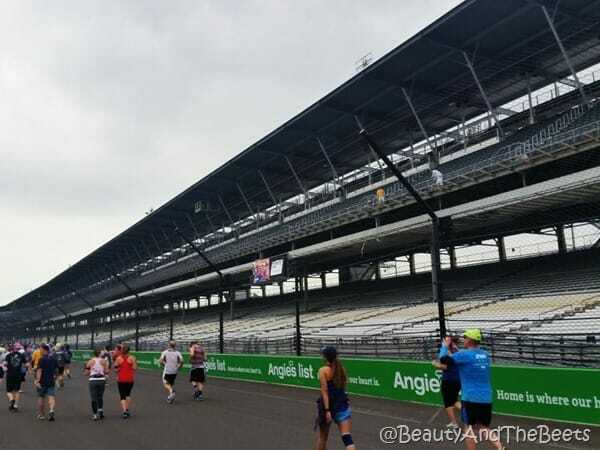 I really only wanted to run the race because of the course stretching through the speedway. 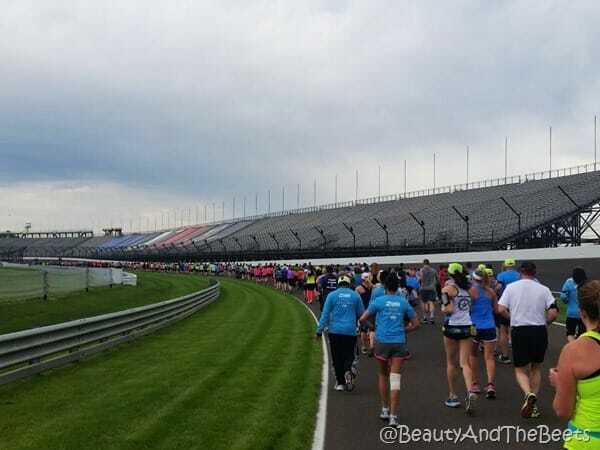 About 2.5 miles are spent inside the Speedway running on the very track that has made the Indy 500 race so famous. 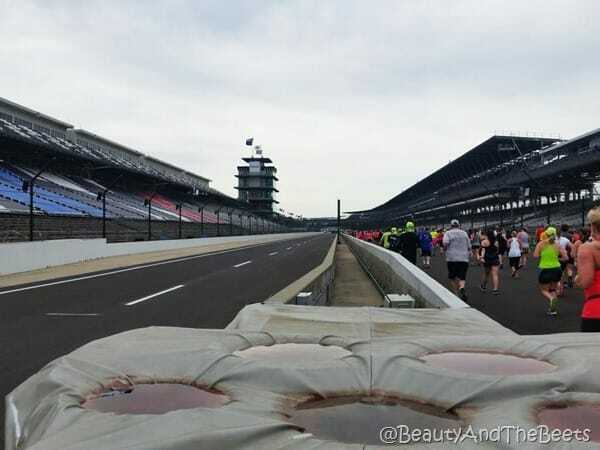 And we ran right over what is called the Yard of Bricks, a row of bricks that commemorate the original track, which was at one time all bricks. 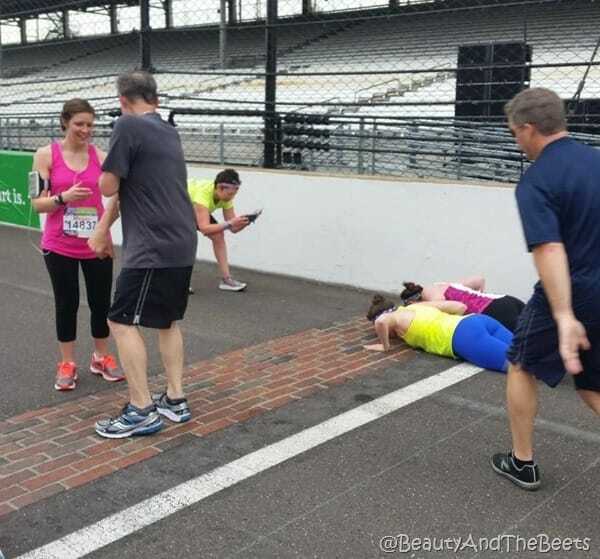 Many people stopped and kissed the bricks, a tradition started by winners of the car races held here. 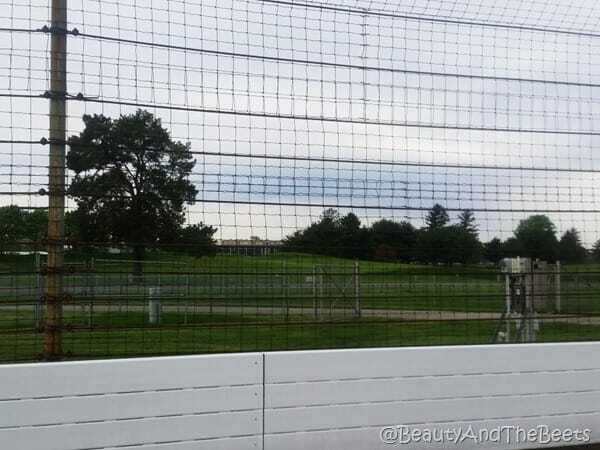 I loved that there is a golf course in the middle of the speedway! Truthfully there was really nothing more to see during the race that was of interest. The last mile of the race we were running a straight stretch right towards the tall buildings in downtown. And that was great, but probably because I knew we were close to the finish. 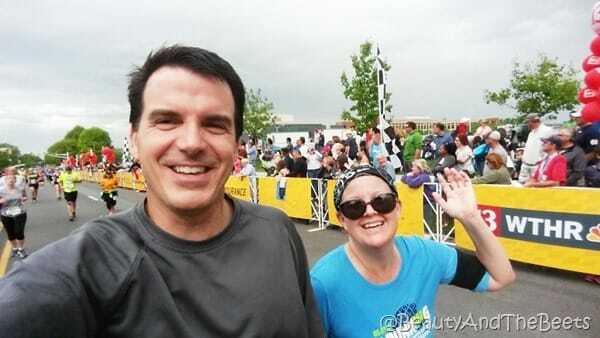 Despite only a few miles being scenic, we really enjoyed this race. It was very well organized from the expo to the finish line. And parking was an absolute breeze. 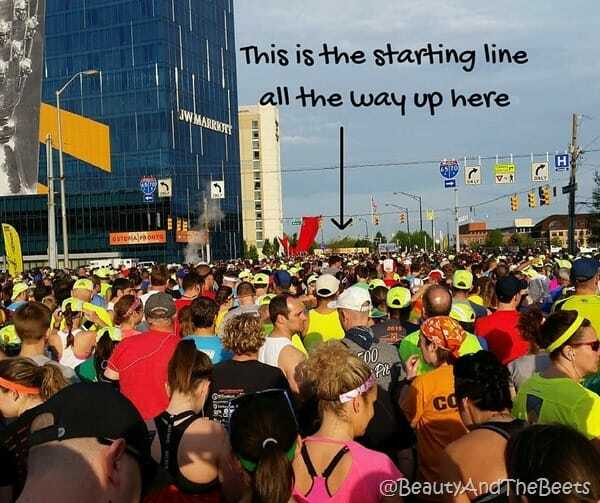 With so many runners we expected parking to be a huge hassle but we were able to reserve parking in a garage the night before the race so it made it incredibly easy on race morning to park and get to the starting line. 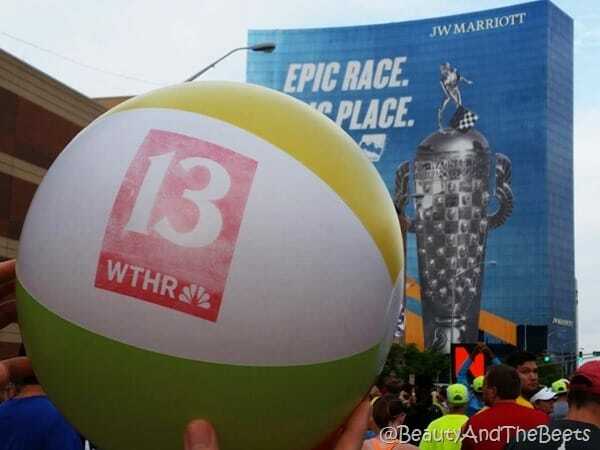 And we smacked beachballs around our corral before we started, at least we were occupied. 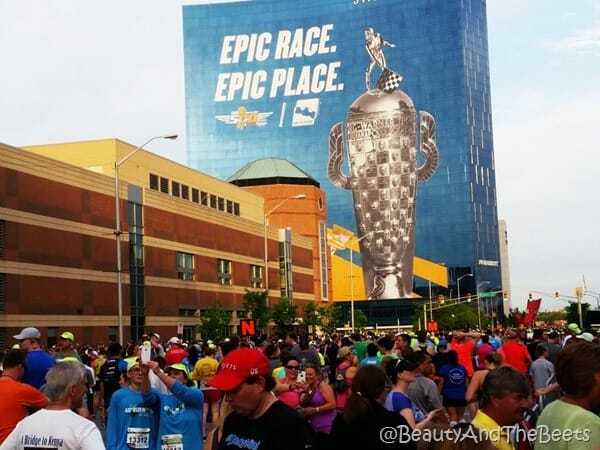 The race this year was expected to regain the title of the largest half marathon in the USA and with 30,000 runners, there was a lot of waiting for all the corrals to start. To my knowledge, there were 26 corrals, lettered A to Z. 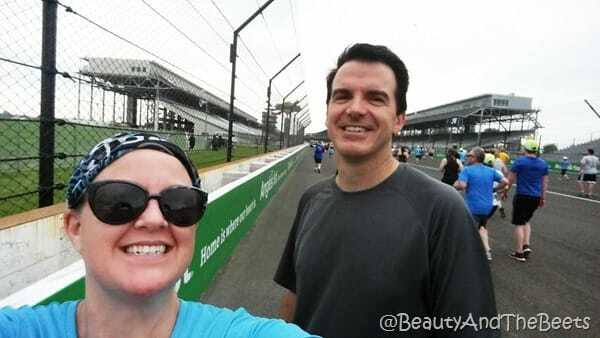 We were kept fairly cool during the race as it rained on and off. At one point it was coming down pretty hard and became a tad annoying instead of refreshing. But I will take the rain over high temperatures any day. In the end, I ran my third best time and got my cool medal. And I was feeling pretty good so no FOMO for me. We were excited about our lunch plans after the race so we did not stick around to experience the post race party. 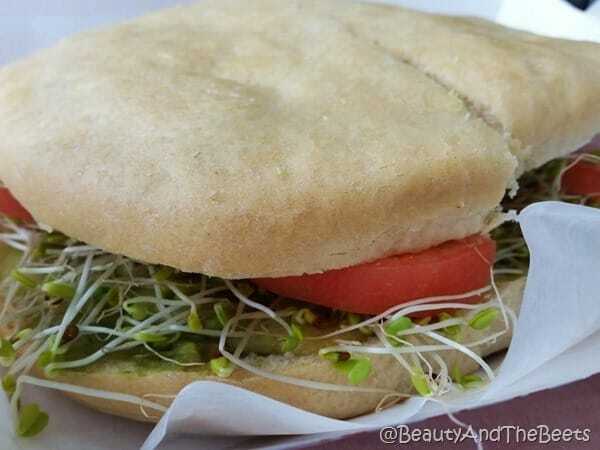 Instead, we hopped in the car and headed over to Georgetown Market, an amazing family-owned health food market. 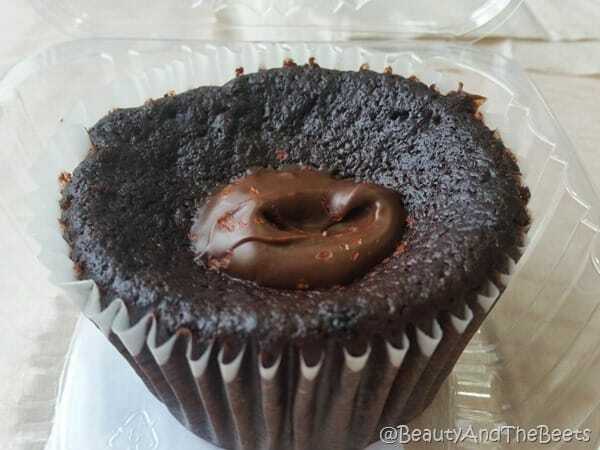 We had avocado melt sandwiches…..
….but for me, the highlight was the Chocolate Beet cupcake. AMAZING!!!!!!! 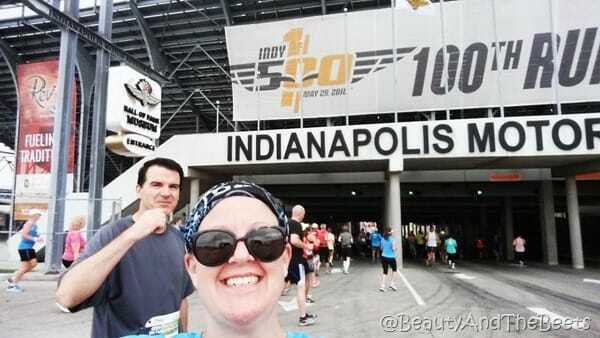 I don’t know what was more exciting- the race or the Beet cupcake! So for now our running season is done. Though I am sure there will be a 5K here and there, we don’t have a race scheduled until Chattanooga in October. Does this mean I can eat more cupcakes now? Well, you should sign up for a race with me!! Maybe Trenton? Louisville? Asheville?